Shrimp Vs. Prawn-What's the Difference? 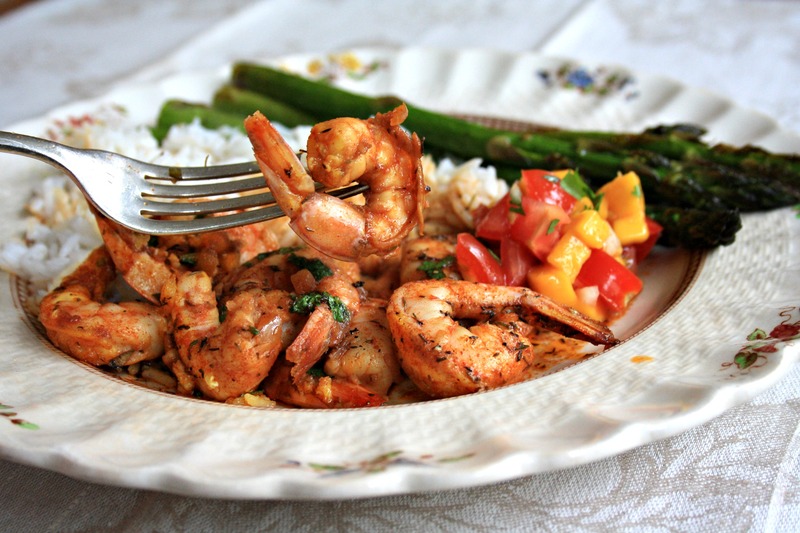 "What's the difference between shrimp and prawns, and how can you tell them apart?" In the infamous movie Forrest Gump, Bubba said it best;" Shrimp is the fruit of the sea!" But what about prawns? How do they compare? This plate contains bite-sized, firm and tender morsels of undersea deliciousness. Imagine this has just been delivered to your table at a nice restaurant. ​ Are these shrimp, or prawns? ​Why, you say, does that matter? Also, you say, why is Asta torturing me with food? Did you say that this was a lovely plate of Garlic grilled shrimp? Because if you did, you'd be wrong. Depending on which country you're standing in. Ask Asta: What is Sea Foam? 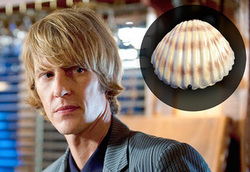 In this weekly series, Asta answers your most unusual questions about the ocean. Got a good question? Ask Asta yourself! Email her at asta@Literasea.ca! Have you ever taken a bubble bath? Bubble baths are my favorite way to relax. When I know my water is the right temperature and I've got enough water to warm up the tub, I pour soap into the stream of water from the tap. Seconds later, I have a bounty of bubbly foam to relax in! Is this the same kind of foam you see at the beach sometimes? 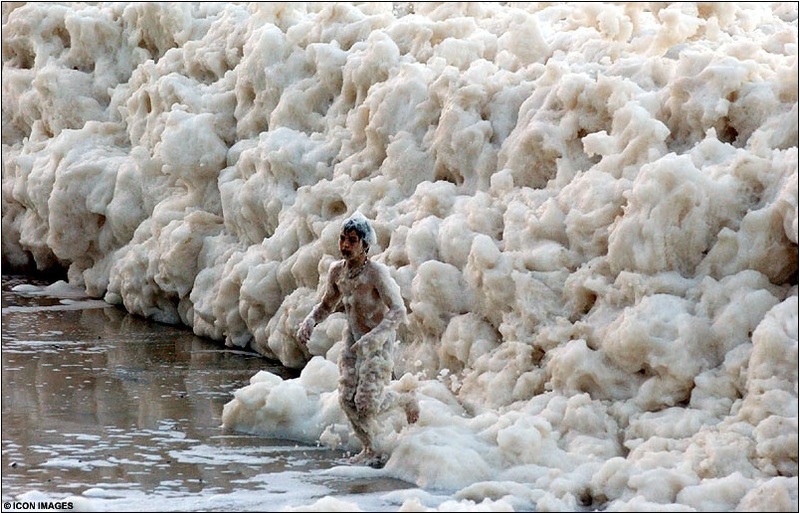 It is similar, but the foam you see at the beach didn't come from soap and water running from a tap! In fact, tap or 'fresh' water and ocean water are very different. 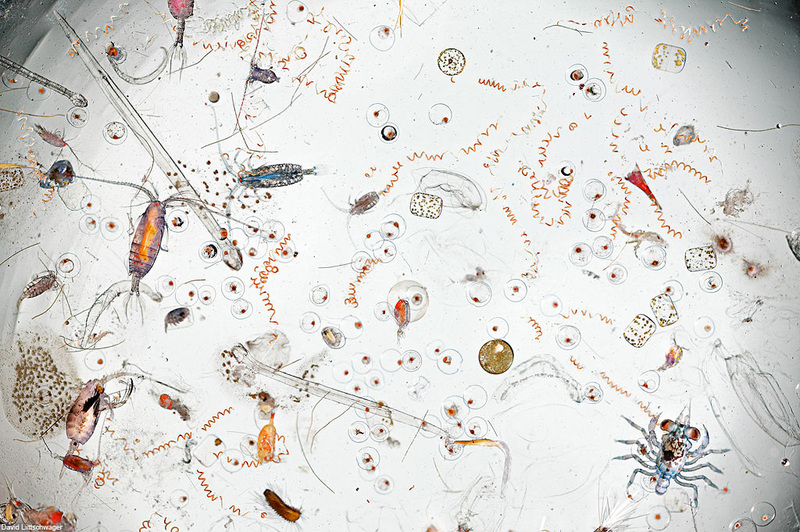 If you were to look at sea water under a microscope, you would see that every drop of seawater contains plenty of dissolved organic material, like decaying plants and animals, microplankton, salts, fats and proteins. Photo courtesy of Roger Edwards. These materials usually float in the water invisibly, and decrease the surface tension of the water, similar to the way soap does in the tub. In particularly rough weather, when the wind, waves and currents agitate sea water, tiny bubbles that form together in large quantities. These bubbles stick to each other due to their own surface tension, and this creates what we know as sea foam. Sea Foam, also known as Spume (my absolute FAVORITE new word!) is a natural phenomenon, and can be formed anywhere in the world. Usually, you will observe just a little foam, right at the water line between the ocean and the beach. However, Australia has had several incidences in which the entire beach, and even nearby beach towns, have been completely covered in sea foam! The amount of foam created is dependent on the level of wind, chop, and surfactant material in the sea water at the time. Sometimes, large sea foam events are linked to naturally occurring ocean processes, like phytoplankton blooms. Just like in the bathtub, sea foam usually disappears after several hours or days. Most of the time, touching or interacting with sea foam is harmless to humans. However, not all sea foam is good sea foam. 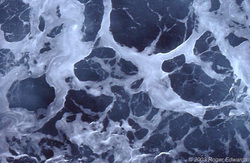 Sometimes, sea foam forms after contaminants have entered the marine environment. When crude oil, motor oil, detergents, or sewage build up in the marine environment, a smelly brown "chocolate mousse"-like sea foam can develop, and can be very persistent. You definitely would not want to bathe in that stuff! Sea foam can also be created after outbreaks of harmful algal blooms (from species such as dinoflaggellates or cyanobacteria) people to have respiratory (breathing) problems and skin irritation. A good rule of thumb is to enjoy the beauty of sea foam from afar if it's any color other than white! Where have you seen Sea Foam? Let us know where and when you've encountered sea foam, and what you think caused it! If you have a chance, you can even take a sample and look at it under a microscope. Ask Asta: What's the difference between porpoises and dolphins? Find out more about a dolphin's fins and a porpoise's purpose below! Dolphins and Porpoises may not seem all that different when you view them in the water. But if you look a little closer, you can notice some distinct differences between these two unique species. Both dolphins and porpoises originate from a lineage of of warm blooded, carnivorous ocean creatures, a lineage they share with whales, seals and sea lions in the order Cetacea (derived from the Greek word Ketos, meaning "large sea creature"). Both species also belong to the suborder Odontoceti, a group of animals known as the "toothed whales." 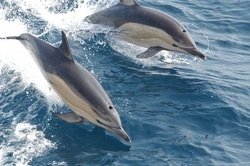 Porpoises and dolphins share some common characteristics as well. They have similar body shapes, and often are found foraging and swimming in the same parts of the ocean. They are also both highly intelligent and use echolocation to interact with other members of their family or "pod" over large distances under water. When it comes to behavior, attitude and lifestyle, these two animals show some distinct differences. Check out how dolphins and porpoises compare in our "porpoise"ful comparisons chart! Fin Shape: Dolphins have a softly sloping dorsal fin extending toward it's tail. Teeth: Dolphin have large mouths, with 80-100 interlocking conical teeth. Their teeth have no differentiation, meaning that they are used primarily to catch and hold their prey before swallowing. Head Shape: Dolphins have a large, bulbous "melon" with a long snout or "rostrum" which contains long jaws. This jaw shape gives dolphins their distinct smiling happy look! Sociability: Dolphins love to congregate in large groups, and are almost always found in groups. They communicate through a complicated language of clicks, whistles and bubbles, and use echolocation to find food, and one another. Behavior: Dolphins are wildly acrobatic, jumping and playing at the surface of the water or riding the wake of moving boats and vessels. Size: 3.9-8 ft. Porpoises have a wider, stockier body than dolphins do. Some species also have humps on their dorsal (upper) side and their ventral (bottom) side near the tail. Fin Shape: Porpoises have a sharper, more triangular dorsal fin, similar to that of a shark. Teeth: Porpoises have 35-50 spade shaped teeth that are usually flat and sharp. Each tooth is separated by rigid, protruding growths known as "gum teeth". Gum teeth are thought to be used to aid the small teeth in grasping slippery prey, like squid or small fish. Head Shape: Porpoises have a round head, a less prominent melon and amuch smaller jawline than dolphins do. Sociability: Porpoises are usually spotted alone or in small groups of 2-12. The shape of their blowhole does not allow them to create the same whistle and pop sounds that dolphins use to communicate. Behavior: Porpoises are usually very shy and will generally swim away from vessels as they approach. Dall's Porpoises, however, will sometimes congregate around loud vessels in the waters of the Salish Sea to wave surf! Photo Courtesy of wild whales.org. that both Porpoises and Dolphins can end up as prey for another species of Dolphin? The largest species of dolphin on the planet actually go by the name "Killer whale" or Orcinus Orca in fancy latin! Orcas are notoriously efficient team predators, meaning that they often work together to herd and hunt other marine mammals, like seals, sea lions and even porpoises and dolphins. Check out this amazing video of Pacific White Sided Dolphins being hunted by a hungry pod of Orcas! Video courtesy of youtube from 11MOAX. BC Cetacean Sightings Network. June 17, 2013. "Dolphin Vs. Porpoise: What's the Difference?" Retrieved March 28, 2014. Dolphins World Online. 2014. "What is the Difference Between A Dolphin and A Porpoise?" Retreived April 2, 2014. Ask Asta: Do fish sleep? Asta loves exploring and studying the exciting world under the sea. 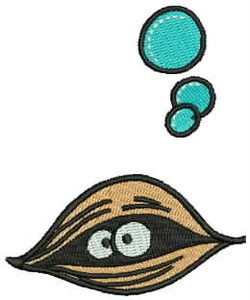 Each week, she will attempt to learn and answer her reader's most burning marine science questions, and provide some resources that help turn the question into a lesson plan! Fish may not curl up in a comfy bed like humans do, but they still make time for rest and refreshment. They can't get any shuteye though because fish don't have eyelids! Some fish rest by going into an almost trance-like state, in which they rest while floating almost motionless (or moving just their fins) in the water column. 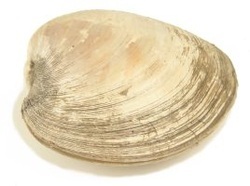 Some even rest on the sea bed, or build small nests out of pebbles or soft debris. Fish can rest at any time, day or night, but most fish are diurnal, like humans are. Resting or 'sleep' means something slightly different in fish: it is usually defined as long periods of stillness, with little eye movement, slower heart rate and breathing patterns, and a decrease in response to touch or sound. If you have an aquarium at home, you might notice that sometimes your fish float motionless for long periods of time. Some scientists believe that when fish are resting, they are using only half of their brain power to breathe, stay away from objects and other fish around them, and detect predators. Other fish have to keep swimming-even when they are resting! These fish often use what is known as "ram ventilation", meaning they have to keep swimming in order to get water through their gills to breathe. Some cartilagenous fish, like certain sharks, are thought to go into "autopilot" mode when they are resting, meaning they swim along undisturbed until they come across something that looks or smells tasty. Then, they wake up and start using all their senses to help them hunt. Some sharks like to have slumber parties, like the White Tip Reef Shark. These beautiful predators return to the same spot very regularly, and stack together with other sharks while they rest. They tend to congregate in areas where they oxygen content of the water is high, so that they don't need to swim to get the oxygen they need! Photo of a Zebrafish. Taken from Wikipedia commons. Zebrafish are being used as models to better understand sleep disorders. Dr. Emmanual Mingot and Dr. Toke Yokogawa led a study using zebrafish to determine how a protein called hypocretin affects sleep patterns. The research team compared the length and times of zebrafish naps between fish that produced the Hypocretin and fish that had been genetically modifed so that they did not produce the protein. The reserachers discovered that the fish that did not produce Hypocretin slept 30% less often and for only about half the time as fish who did produce Hypocretin. This research may eventually help scientists understand sleep problems such as narcolepsy and insomnia! When it's time to rest, Parrot fish produce a mucus sleeping bag which wraps around them and keeps them protected while they sleep. There are many theories as to why Parrot fish need a sleeping bag. Some believe the bag is used as an early warning system to protect the fish from predators, like the moray eel. Others think it has to do with protecting the Parrotfish from dust or sea debris floating around in the water. Alexandra Grutter from the University of Queensland theorizes that the sleeping bag is used to prevent attack from Gnathic isopods, a type of blood sucking crustacean. Take that, vampire crabs! There are still plenty of unanswered questions about fish sleep. Fish all seem to sleep slightly differently. Maybe this would be a cool subject to research as a biologist! What do you think this knowledge could be useful for? Ask Asta: Why do Seals have whiskers? "Why do Seals need Whiskers? What do they do with them?" You come home from a busy day at school and your tummy's rumbling with hunger. You go into the kitchen to try and make your dinner, but the power's out and you can't see a thing! Worse yet, every time you grab for a bite of your favorite food, it zooms off away from you! What senses would you rely upon to relieve the rumble? We may not have to worry too much about our food escaping from our refrigerator, but for the common harbour seal (also known as Phoca Vitulina), chasing their food in the dark is a pretty common problem. Harbour seals are members of the taxonomic clade "Pinnipedia". In Latin, this word means "feather or fin foot". This order includes 33 different types of marine mammals, but all of them share some characteristics, like long flat flippers, both at the front and rear of their bodies. Harbor seals are a member of the Phocidae family, also known as "true seals". They can be differentiated from other pinniped species by their lack of external ears, streamlined bodies and their long facial whiskers, known as mystacial vibrissae. Check out this great video from Lunchbox Lectures to learn more about the physiology of the Harbour Seal! Using their large eyes, seals can see much better in deep dark waters than humans ever could. Harbour seals also posess a fine sense of hearing under water, but in murky, dark water, it's still tough work chasing the harbor seal's favourite meals. Seals love to eat small fish like kelp greenlings, smelt, perch, herring and flatfishes that live in murky, dark water. (Vancouver Aquarium 2013). To find these quick and sneaky morsels, seals use their secret fish-sensing weapon - their sweet, sweet mustaches! Harbour Seals don't just think whiskers look cool, like some humans do. They actually use their whiskers (also known as mystacial vibrissae) to receive tactile (touch) information from their surroundings. As harbor seals grow and mature into adulthood, they grow a series of long white hair like white bristles (called vibrissae) on either side of their noses. These long hairs are attached to the seal's muzzle, and are surrounded by motion sensing cells and nerves. The vibrissae have a "specialized undulated surface structure" which allows them to detect the speed and direction of water currents. The nerves attached to the vibrissae tell the seal's brain which direction a fish or animal might have moved through the water nearby by identifying its " hydrodynamic trail" (also known as a wake pattern.) Noticing an animals wake pattern can help seals discover another animal's direction, location, size, and other details about where the animal is going, and fast! This is really helpful info for a seal swimming in dark or noisy water. A very cool study was conducted using a seal named Henry at the Marine Science Center in Germany recently (2011). A scientist called W. Hanke and his colleagues wanted to find out how seals used their vibrissa to hunt for prey, so they covered Henry's ears and eyes, and trained Henry to follow the trail of a variety of differently shaped fish tails. Even 35 seconds after motion had been created in the water, Henry could accurately track the movements of the tails, and was able to tell the types of tails apart! Another interesting study last year showed that seals can actually use their vibrissae to measure the relative size of their food. Seals can judge the size of a fish based on the wake they leave as they move through the water, and decide between a bigger fish and a smaller one. More than just a fashion statement, the harbour seal's whiskers help it survive! Hanke W, Witte M, Miersch L, Brede M, Oeffner J, Michael M, Hanke F, Leder A, Dehnhardt G. August 2010. "Harbor seal vibrissa morphology suppresses vortex-induced vibrations." Retrieved February 6, 2014. J Exp Biol;213(Pt 15):2665-72. doi: 10.1242/jeb.043216. The Twelve Days of Fish-Mas! The holiday season is upon us, so we've decided to hand out some prezzies! Every day for the next twelve days we will be posting a new marine creature with a photo and description! "The Water Brothers is an eco-adventure documentary series following brothers, Alex and Tyler Mifflin, as they explore the world, uncovering the most important water stories of our time." These guys came on board Sea Dragon to do ocean plastic research in the North Pacific Gyre. They made a sweet video about their experience. This video explains the issue very well with cool animations, interviews and more! "The Brothers embark on a sailing adventure to the middle of the Pacific Ocean to the remote “Great Pacific Garbage Patch”, a massive collection of plastic waste congregated together by swirling ocean currents known as gyres. What does the patch look like? How does it affect wildlife and the seafood we eat? Where in the world did this inconceivably massive amount of plastic come from and from what human activities, and more importantly, what can be done about it? The Water Brothers bring us some answers to this strange and disturbing phenomenon." In this interesting article from Smithsonian Magazine author Joseph Stromberg examines a frightening phenomenon in which microplastic particles in the ocean are absorbing harmful chemicals. These chemical-laced plastic pieces are mistaken for food by fish and thereby the chemicals enter the food chain. The effects of bioaccumulation and biomagnification mean that the fish we eat may contain increased amounts of these toxins. Asta makes news in Marine Science Today! Asta's article in Marine Science Today has seen over 30,000 views in only a week! This amazing individual has accomplished a fantastic feat with her Masters Degree Internship with Pangaea Explorations! In December Asta will have earned her degree as a Master of Professional Science from the Rosenstiel School of Marine and Atmospheric Science (RSMAS). Check out thsi article about the work she did this summer.